Clients who desire to outsource all or part of their current distribution operations, our Centralized Distribution Services solution is the answer. Our central warehouse services the Denver metro area, as well as, rural Colorado from Pueblo south, to Cheyenne Wy. north, Ft. Lupton east to Grand Junction west. Our dispatch, warehouse receiving and shipping personnel, in combination with our professional drivers will provide timely and quality service to our Client’s customers. Our current staff of dispatchers and warehouse receiving and shipping personnel available a scalable. Access to our on demand (hot shot), same day, delivery operation in the Metro Denver Area. We can pickup the products to be delivered or Our Client’s can deliver to the central warehouse. Access to Elite ExtraTM, the latest state of the art web-based technology, which allows our Clients and their customers access to real time information. In addition, operational reporting provides our Clients with the tools necessary to measure performance and create efficiencies. Our drivers can handle pickup, return and COD transactions. 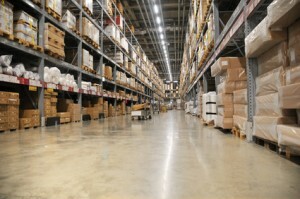 Warehouse space available for Client inventory maintenance if desired. All of the benefits of the Staffing Solution & Fleet Outsourcing Services. Co-op distribution utilizing shared routes provided economies of scale, reduced transportation costs and other cost efficiencies. Client transition can be accomplished seamlessly in a short period of time. Our Centralized Distribution Services provides a fully integrated solution which provides a superior quality service level and Client customer experience.